With 300 granted patents and counting, DeLuca is the most accomplished female inventor in IBM history. 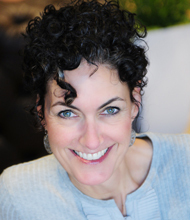 DeLuca's numerous awards include a place in the Women in Technology Hall of Fame, one of Fast Company’s 100 Most Creative People in Business, and IBM's Working Mother of the Year for Working Mother magazine. A TED speaker, DeLuca offers a fun insider look at the process of inventing, from brainstorming to securing a patent for the finished product. With 300 patents granted, Lisa Seacat Deluca is one of the most accomplished inventors in IBM history. The IBM engineer draws from her extensive field experience to help others tap into their creativity and master every step of the innovative process from market research to raising funds. DeLuca heads the App Factory, a division of IBM that is focused on bringing IoT consumer use cases to market. Her inventions include a locator service in cars that can track items that fall under the seat, a system that guides cell-phone users as they walk and talk so they don’t lose service, and clothes hangers that light up to indicate unused items. Her inventions cover a broad range of areas such as cloud, mobile, IoT, social, security, cognitive, and commerce. DeLuca has received numerous honors and awards, including MIT’s 35 Innovators Under 35, LinkedIn’s NextWave of 10 Enterprise Technologists Under 35, Fast Company’s 100 Most Creative People in Business, and IBM’s Working Mother of the Year for Working Mother magazine. 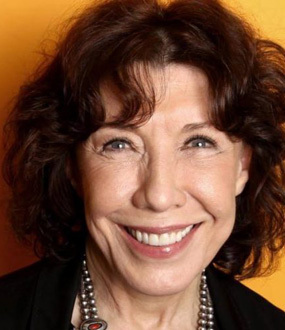 Recently she was inducted into the Women in Technology Hall of Fame. DeLuca is the mother of two sets of twins and has written two books for children, A Robot Story and The Internet of Mysterious Things. 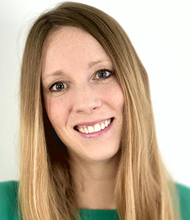 Lisa Seacat DeLuca is a Distinguished Engineer for IBM Watson Internet of Things, where she leads a team called the App Factory focused on bringing IBM IoT consumer use cases to market. Lisa holds a Masters of Science in Technology Commercialization from the University of Texas McCombs School of Business, and a Bachelors of Science in Computer Science from Carnegie Mellon University with minors in Business Administration and Multimedia Productions. This year Lisa was inducted into the Women in Technology International (WITI) Hall of Fame and received an honorary PhD from Claremont Graduate University. In 2016, Lisa was named one of the Most Influential Women in IoT. She was named one of MIT’s 35 Innovators Under 35 in 2015, as well as, LinkedIn’s NextWave of 10 Enterprise Technologists Under 35, one of Fast Company’s 100 Most Creative People in Business, and IBM’s Working Mother of the Year for Working Mother Magazine. In 2014, she was named one of Network World’s 50 Most Fascinating People in the World of Technology. She is a TED speaker, a self-published author of two children’s books titled A Robot Story and The Internet of Mysterious Things, and the most prolific female inventor in IBM history and the only one to ever reach the 100th Invention Plateau Award (an IBM internal patent award system). Her innovation portfolio includes over 600 patent applications filed within the United States and abroad, of which, 300 have been granted, to date. The subject of her patent ideas range from areas such as cloud, mobile, IoT, social, security, cognitive, commerce and everything in between. Lisa is an AAAS-Lemelson Inventor Ambassador where she increases visibility to the importance of innovation. Lisa has spoken at numerous tech conferences and written articles to share her technology and innovation passion with others. 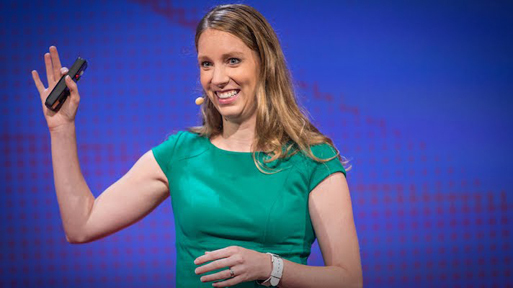 Inventor and innovation keynote speaker, Lisa Seacat DeLuca shares how she went from growing up in rural Montana to becoming IBM's most prolific female inventor. A high school star athlete with barely any experience coding, DeLuca did not feel she was a likely candidate to be an inventor when she started studying computer science at Carnegie Mellon. Her classes were filled with people who seemed to have been training for years to become real-life Wayne Szalinskis, the fictional inventor in the film Honey I Shrunk the Kids. However, as she took on internships and eventually her position at IBM, DeLuca saw firsthand that inventors could be anyone. The key component that set them apart was their mindset. "When someone says it can't be done, it means they can't do it," she says. "Push yourself around the norm, what's expected...and push yourself to thinking a little differently." Innovation keynote speaker, Lisa Seacat DeLuca inspires audiences to reimagine our world and all it could become. She offers a fun insider’s look at the process of inventing, sharing the road map she uses to get ideas and iterate. DeLuca is especially dedicated to getting young people interested in technology, and encourages inventors of all ages to take risks and have fun. Overall Lisa tends to personalize her talks to the audience she is speaking to. So don’t be afraid to ask for a topic or talk not described below. In this talk Lisa shows photos of real life inventors and tells her story about how she grew up and began thinking creatively. Her talk inspires everyone that there is no cookie cutter mold of what an inventor should look like and that everyone has the potential to become an inventor. Lisa speaks frankly about growing up in Montana and never taking any coding classes before being accepted into Carnegie Mellon’s computer science degree program. She encourages young people to try out the unknown and keep learning new things to explore careers in STEM. During this talk Lisa shows some of the unexpected benefits of using machine learning and artificial intelligence for some off the cuff examples of what IBM is doing in the world of cognitive computing. She talks about her personal experience writing some machine learning code to drive real time recommendations and provides a demo of the system in action. In this talk Lisa explores some of her fun “side” projects such as her experience with writing children’s books and self-funding through Kickstarter to show the power of the individual and sharing our ideas with the world. She brings the talk back around to show how our experiences outside of work can make us more creative internally and inspire everyone to do what they love. I want the audience to be inspired and realize that they can and should share their ideas and stories with anyone willing to listen. DELUCA: I want the audience to be inspired and realize that they can and should share their ideas and stories with anyone willing to listen. I like to limit the buzz words and company pitches so I can focus instead on stories that people can relate to. DELUCA:I always tailor my talks to the audience, trying my best to relate to their field of work and focus on topics that will interest them. I rarely reuse a presentation. DELUCA: Technical audiences, aspiring inventors, parents, women, young folks… everyone! He told me that in his experience, when you ask men to do a TED talk, 9 out of 10 say yes, but when you ask women, 9 out of 10 say no. That got me motivated to reach more women and tell them to not be afraid to share their stories. DELUCA: The most memorable speaking engagement was definitely the TED@IBM event. After the event a gentleman came up to me and said that he coached TED speakers for a living and was impressed with my talk. He told me that in his experience, when you ask men to do a TED talk, 9 out of 10 say yes, but when you ask women, 9 out of 10 say no. That got me motivated to reach more women and tell them to not be afraid to share their stories. Saying yes was one of the best things I could’ve done for my career. 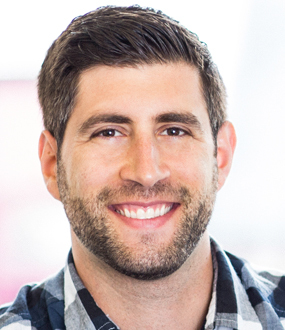 DELUCA: I love sharing my story of how I became an inventor and software engineer because it’s genuine and many people can relate to the stories. DELUCA: The more I did them, the more I enjoyed meeting new faces and encouraging others to share their stories. 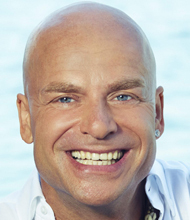 DELUCA: Personal stories. Sometimes I’ll throw in stories about technologies or interesting facts people might not have heard about, but I like to speak from personal experiences as much as possible. • Testing the market for your product. • The process of getting a patent from start to finish, and what to do after it's granted. • Applying constructive criticism to her work. • How she balances being a prolific inventor and mother of four. "No matter how many great inventions are created, there are still only 24 hours in the day and we’re still only human...hopefully, the inventions that are created make our lives easier so we can have time to focus on the unique experiences that go along with living." First, thank you once again for your participation as a keynote at the 2017 NAI Conference! Your talk was excellent and as I hope you can tell, our audience was inspired and engaged by your message. It was truly an honor to meet you and hear your story. We have received nothing but great reviews from attendees and several requests for the video so they may watch it again! 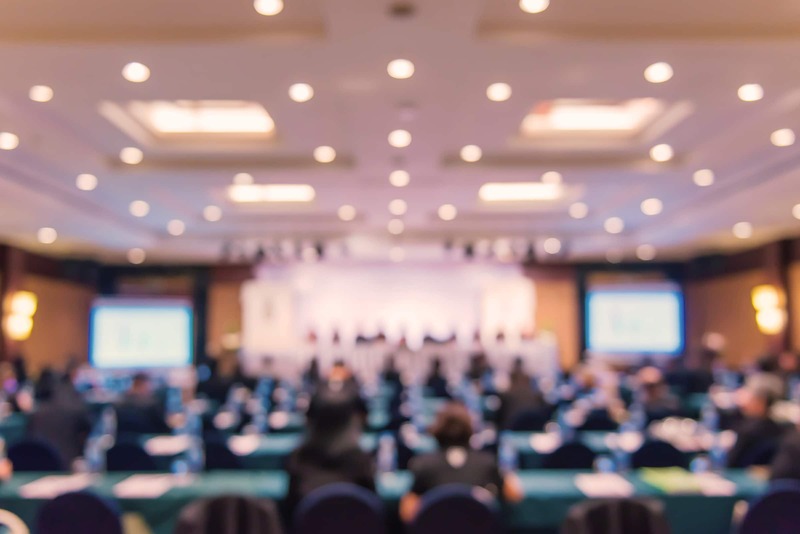 We can’t think of any speaker who would have been better suited to present the keynote leading into the Inaugural NAI Student Innovation Showcase and also grateful to you for also acting as a judge for the student innovators. Many of the students noted how honored they were to present before you and the others. JASON and WiFi are two robot brothers, who want to be nerdy just like their mother. 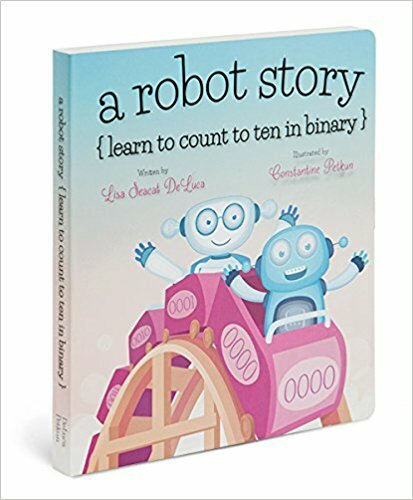 Learn the basics of computer language, binary, as you count to ten with the robot twins. 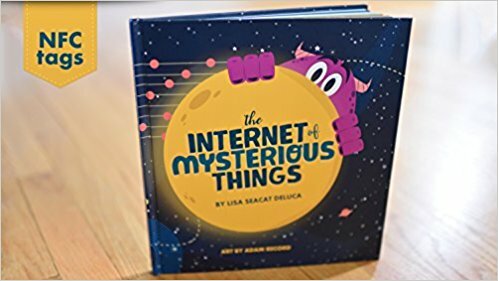 The Internet of Mysterious Things is probably one of the nerdiest children’s books. It’s a children’s book with a touch of technology because you can tap on the hidden creatures on each page to launch more information about the story. There are 10 NFC tags within the book to launch a companion website.